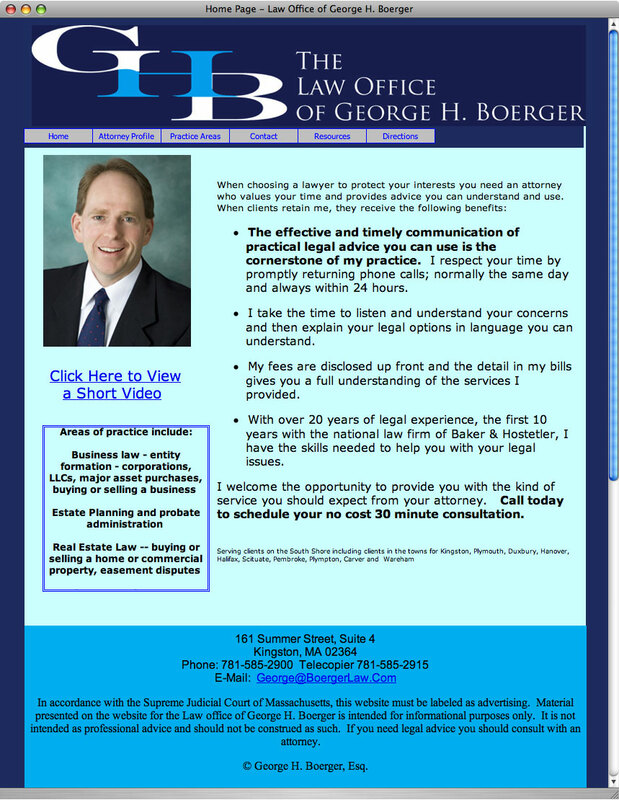 George Boerger is a really good man, and a great lawyer. He operates a general law practice in the areas of business law, estate planning, and probate administration, real estate law, bankruptcy, divorce – family law and general litigation/personal injury. He wanted a corporate look that stood out from other law firms, that looked professional but approachable and friendly. I created the new logo and look for him, and we applied it to everything in his practice. 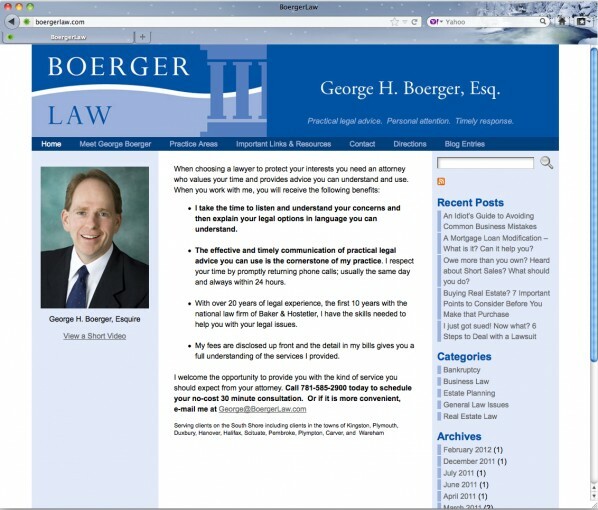 George wanted to blog, and to be able to edit his own website with updates on legal and business changes and so on, so we created his website with that capability. He tells me us that gets lots of work from, and compliments on, his new corporate brand and website.